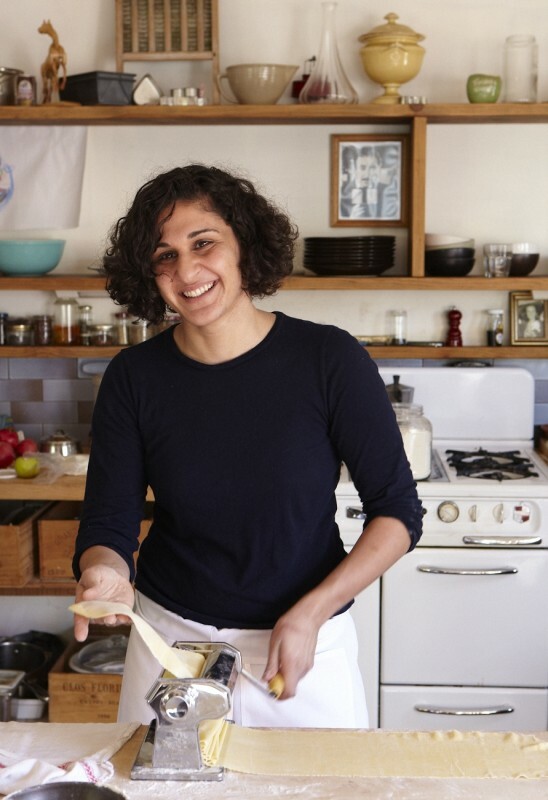 Samin Nosrat is a writer, chef, and teacher. She learned to cook at Chez Panisse after studying at UC Berkeley. Inspired by her many teachers, Samin shares her smarts in Home Ec—a series of hands-on cooking classes in the Bay Area. She also runs Tartine Afterhours once a month. 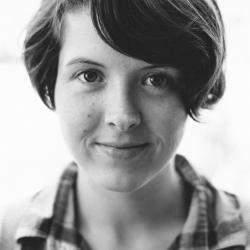 I had the privilege of taking Samin’s class at 18 Reasons earlier this year. She was nice enough to swing by and chat with me about food culture, learning to improvise in the kitchen, and getting into a rhythm of making meals at home. Where do you think your passion for food comes from? I grew up in a family where we all love to eat. For me, to be a good cook, you have to love to eat, and my mom was a really good cook and both my grandmothers were great cooks. My mom’s mom cultivates an orchard and a farm in the north of Iran, and my mom spent her summers there. There was definitely always an interest in finding the most delicious things to eat. There’s something that happens—I thought it was just my family at first, and then I thought it was just Iranian people—but I think it’s an immigrant thing where when someone leaves their country, and can’t go back or doesn’t go back, this desire rises in them to search for the flavors of their childhood or their past with this great intensity. I think everything in Iran more or less was quote-unquote organic when my mom was growing up. There wasn’t really a lot of pesticide and fertilizer. And every land has its own flavor that it imbues in the food. My mom, my dad, my grandparents, and everyone who was with us in San Diego spent so much energy trying to find those flavors of their past. And there was so much talking whenever we would find a particularly good tangerine or something, wow, this tastes just like Iran. And there was a lot of that, where I never knew what Iran tasted like, because I was born in San Diego. It was just this hunt for the most delicious thing or the most authentic thing in a completely foreign place. And since I’ve left San Diego and now I work in food, and I’ve met so many people from different parts of the world and I’ve definitely witnessed that it is something where you’re always searching for that flavor. I wasn’t even born in Iran, but when I’ve gone to Iran, I got it. And when I was in Italy and I was eating the original foods that the foods that we cooked at Chez Panisse were modeled on, I got it. It’s this thing where you’re like, oh, I get it: I’ve spent all this time cooking and eating something that is a nod to something else. And when you get to eat that original thing, it’s really powerful. I think there’s some level of that “immigrance” even though I’m not the immigrant myself; I have in me a desire to find the true flavor. How do you think your environment inspires the food you cook? Do you feel like it’s changed since you moved to SF? Totally. So, I moved to Berkeley in 1997 to go to college and I wasn’t really cooking before that. I was just mostly eating my mom’s food. Shortly after that, I started working at Chez Panisse, and that was where my true formal (or informal) culinary education began, and you know what that philosophy is so I’m not going to need to restate it. There are so many different takes on it, and there are so many different places where it goes. And there are the people who are the total purists and the total, ultimate locavores who will only eat the thing from the 25-mile radius and then there are people who completely eschew eating locally as an important thing at all. And there are people who fall in between those two things for different reasons. And for me, partly because I have this other heritage and that’s something that I connect to, but also I think I’m just an old person trapped in a young person’s body. I’ve always had an old soul and a desire to reconnect with the old and authentic and true thing. And I have this really inquisitive mind where I want to find the source of the thing, so when I started learning about food and reading old cookbooks and understanding the history of the things that we made at Chez Panisse and why we were braising things in this way and what the difference was between that and a true, traditional braise or whatever. I always think, how do I follow this back to the source? How do I follow this back to most traditional version of the thing? And then, once I knew that thing or was familiar with the history of it, only then did I feel I could make riffs on it and change different aspects of it. You know, here we’re so lucky [in the Bay Area]. We’re geographically extremely lucky, and it would be foolish to not take advantage of that. A big part of my belief about food and cooking and capitalism and economics and the way the world is and politics, is it’s important to support people who do really amazing work. And so, I want to eat the balsamic vinegar that comes from Luigi Sereni in Modena. And I want to eat the parmesan cheese that’s from Emilia-Romagna and I want to eat the true jamón serrano. People have been doing those things for hundreds or thousands of years in a certain place, and that food carries with it the flavor of that place. And if it has to be shipped across the world for me to shave a little bit of it onto my pasta, I’m okay with that even though it’s not the total geographical-local thing, because it’s supporting somebody’s incredible work. That’s at the heart of how I cook and how I want to eat. I think there are a lot of people who try to improvise without understanding what the original thing is, and it doesn’t always work, because how can you make something better if you don’t know what the original thing is? That’s like all the jazz musicians. They know the music really, really well and then they go off on their riffs or whatever. It makes me sad there are a lot of cooks now who don’t, and also the pace of life and the pace of the internet and the pace of everything doesn’t really foster that traditional education anymore, so then people are making decisions that aren’t rooted in something. What was the last thing you cooked at home for yourself? On Tuesday, I made this dish called kuku sabzi and I’ve been eating it all week. It’s a Persian frittata that is sort of the opposite proportion of what a European frittata is. Where a European frittata might be mostly egg with whatever else—maybe some chard folded in—the kuku is mostly greens and herbs, and I put green garlic, leeks, and spring onions in there, and it’s just barely bound together with egg, so it’s like eating a mouthful of greens. And it’s super delicious. It’s a lot of work. I bought probably seven bunches of spinach and four bunches of green garlic, and everything cooks down into one frittata, but it’s really good. I’ve just been eating on that. I ate it for breakfast, lunch, and dinner for three days with mayonnaise and hot sauce. So good! Sounds tasty. You mentioned some of this: how would you describe your style of cooking? If I had to associate with a cuisine, it would be Italian cuisine, just because that is what I studied and was obsessed with and I lived in Italy for two years. Maybe a mashup of Italian and Californian food. I love the flavors of different cultures too. And so even when I cook Persian food, or even when I cook Mexican food, or Indian food, or Thai food, it always comes with that sort of French-Californian and Italian background and I just go toward the flavors. When I took your class, you talked about cookbooks as inspiration rather than teaching or instruction. Which ones do you think are essential? Oh my god, Nigel Slater. I am obsessed with Nigel Slater. And David Tanis. I love this certain generation of crabby British women like Jane Grigson. Well, M.F.K. Fisher was American. Elizabeth David. Patience Gray. They wrote about food in this amazing, no-nonsense way that wasn’t indulgent, but was super honest. Most of them were Brits discovering European traditions and were along for the ride with their husbands who had jobs that brought them to the mainland. In a lot ways, they were 60 years ahead of us, or however many. But they were going through a lot of the same sort of awakenings that so many of us are going through now. It’s super inspiring. They were really amazing. Judy Rogers’s cookbook is really beautiful and useful. I love the Canal House books. What else. I love Sunday Suppers at Lucques. I think that’s a really beautiful and excellent one. Pretty much any really pretty book. Yesterday, my friend Cal and I were talking about what we would theoretically put in our own cookbooks and how both of us pretty much just look at books for the photos. You let the photo inspire you and make you think of what you want to make. How do you think a home cook would know when they can improvise on that? Gosh, okay, that’s a good question. It’s not like: once you’re ready, then you can be an improvisor! Even for a person like me, every situation is unique. For example, on Thanksgiving, I was going over to my friend’s house and a bunch of cooks were coming over. And so we all divided things. They asked me to make pie, and I thought, okay, I’ll make pie. I was going to make apple pie, but they said, actually we don’t like any of those regular Thanksgiving pies, so can you please make chocolate pie? So then I was trying to figure out what would be the most excellent version of chocolate pie to make and I realized it would have a cookie crust filled with chocolate cream, like a chocolate cream pie. I kept looking for recipes that I could trust and that I could feel really good about, and I didn’t really find one, so then I thought, well, what if I just took the crust from this recipe and used Tartine’s chocolate pudding recipe as the filling? I’ve made that pudding many times, and it has a lot of corn starch, and so I decided, well, to make it a little more elegant, I’ll reduce the corn starch and make it a little bit less stiff. So I just randomly decided to put less corn starch. I made this chocolate cream pie—and I was improvising and I shouldn’t have been—and the pudding never set. It was so runny. I had to run the pie to my friend’s house. I literally ran it over there, and there was a trail of pudding on the sidewalk. And so I told myself, okay, next time just follow the recipe. I wasn’t skilled enough with that particular thing to improvise and I learned my lesson and I will never forget that particular lesson. But there are other times where I do have a level of comfort. I’ve cooked certain vegetables a million times, so I feel pretty comfortable now. After having roasted them, and braised them, and boiled them, and sautéed them, and cooked them every different way, now I know what a cauliflower needs and which preparation will work best in the circumstances. I think it just comes with practice. And you’ll know, and you’ll make mistakes, and we all do, and hopefully you’ll learn from your mistakes, and hopefully next time you’ll put all the corn starch in or whatever. It really just comes with practice, and sometimes you don’t even have to practice that many times. You only have to caramelize onions once according to a recipe, and then next time, you can be a little more relaxed about it. I think every situation requires its own judgement. What do you like to eat when you’re completely wiped out, but you have to make something since you’re starving? I’ll fry an egg. I eat a lot of fried or poached eggs on toast. I have the blessing of almost always having one of Chad’s loaves of bread at my house, so that’s good. And then carrots. I eat a lot of carrot pickles. I’ll make a batch of pickles and have that around. I eat a lot of peanut butter and bananas. And what other funny things. Almonds. But I go through phases, so there were a couple of years where I was definitely in a bean and cheese burrito phase. Grilled cheese sandwich phase. I try to eat less melted cheese items now, but that was a really good phase. Reading Tamar’s book, An Everlasting Meal, has been super motivating and inspiring. And I’ve become more comfortable as a regular home cook, because I’m not in restaurant kitchens anymore, so I do a lot more of the “cook a big batch of beans” and then eat that for five days. As long as I have the condiments in my house, which I always have hot sauce and mayonnaise around, I pretty much can eat some version of a bowl of vegetables with something. Yeah, it’s not that exciting. What would you say to someone who thinks that it’s impossibly expensive to cook at home? I have a lot of friends who say they love cooking, but they don’t ever do it. I think that you have to reduce your expectations and reduce your idea of what makes dinner or what makes a meal. When you can connect to something super simple and look at a plate of beans with a poached egg, or look at some roasted vegetables with a little half of a sausage, or when you can look at something that maybe before seemed too humble and see a meal, then I think it will become more approachable. The problem when you’re either working or eating in restaurants too much is that the platonic ideal of a meal becomes this three-course thing. That is really too hard for most people to cook at home, and that’s too hard for me to cook at home on a regular basis. When I shifted gears a little bit and I could look at a pot of beans and see five days of eating, or I could make a frittata and eat it for four days, and when I could understand that certain foods could be the ingredients for a larger palette of dishes, then it didn’t seem as intimidating to actually eat healthy, simple, and inexpensive foods at home. For me, I went through that same thing, because I was so used to being in restaurants that on my day off, the last thing I wanted to do was cook at home. And then when I suddenly shifted gears and I was at home all of the time, I didn’t really have a foundation for cooking at home. Only when I reached a point of major financial stress, and also I just didn’t feel good, because I was eating out so much. I would do this horrible thing, which I have a feeling a lot of people do, which is to go to the farmer’s market and be really excited and buy all this stuff and then come home and let it rot, because I thought, I’m just one person and it’s not worth it to cook it. Or I can’t even bear to look at that today—I’ll just eat another bean and cheese burrito. You have to get into a little bit of a rhythm. It’s like going to yoga practice or doing anything, where you just have to get into a rhythm and you have to reduce your expectations and be able to find pleasure out of super simple things. And then I think it can be really easy and not that expensive and really delicious. I also now try to make the most of my time in my home kitchen. If I’m making something and the stove is on and I have other vegetables, I’ll just turn the oven on and roast them too while I make something else. Or if I’m home writing, I’ll just put the beans on in the pot. I try to do the cooking when I’m not actually cooking. What do you think is your future? Do you ever want to have a restaurant? Oh god no. No, no. [Laughs.] I sort of accidentally took a detour into the kitchen. It wasn’t ever a place that I was aiming to land. I wanted to be a writer. I thought I could graduate college and be a writer, whatever that meant, I don’t know. Only when I realized that that wasn’t possible, I thought, maybe I should invest in another skill. But I didn’t realize that cooking was just about the other perfectly most useless, least marketable skill there is. I was hesitant even when I was starting to cook, and even as I was realizing what a huge commitment it was, I was hesitant to let go of my more intellectual and academic aspirations. Throughout the entire time I’ve cooked, I’ve tried to weave things in. I applied for a Fulbright Grant to study traditional Italian foodmaking methods, and when I didn’t get it, I still went to Italy and I still did a lot of that research. I’ve tried to write. I’ve taken classes at the journalism school, and I’ve tried to keep writing and now I’m working on this book. For me, there is something really important to being able to use both parts of my brain in that way and be somebody who really is making and doing and having that immediate gratification and being able to serve someone or eat it myself, and then also be able to use this other part of my brain where I go deep into myself and produce something that someone may never see or enjoy. And being in a restaurant doesn’t allow that. Also, I’m not that happy or that nice when I work in a restaurant. It’s really demanding and you have to be a certain type of animal and I can be that animal under great pressure, but I don’t like being that animal. I have great respect for the people who do it, and there are some people who are really brought to life by that type of stress and that type of work, but for me it was too emotionally and physically grueling and I couldn’t do it anymore. I’m lucky enough that I have enough people in restaurants around me that I can sort of stop in and help out, but I don’t think that’s a place that I ever really want to go. I’m working on the book proposal now, and I think all of my work sort of meets at this place of inspiring and teaching people how to cook, be it through the classes or eventually this book, and also just by feeding people in the humblest of circumstances, and encouraging them to go do their own things through bake sales and that kind of stuff. My dream is to find some way where I can make a living and have a sustainable lifestyle, do this kind of work, and be a resource for people. i adore samin. and love the mashup of california and italian food. and eggs. and pickled carrots. and nigel slater. and a pot of beans lasting five days. all of it. thank you! On a small scale I can relate to the immigrant’s desire for the original. Having lived the last half of my life in Texas, I miss the fluke my father caught in New Jersey from the then-unpolluted Atlantic Ocean. Cleaned and filleted in the utility room, ready for Mom to sauté. A little Hellman’s tartar sauce was all we needed.